With so many brands, models, and styles of running shoes to choose from, it’s easy to feel overwhelmed when it’s time to buy a new pair. With this running guide, we’ll walk you through everything you need to know to pick out the best pair that’s right for you. 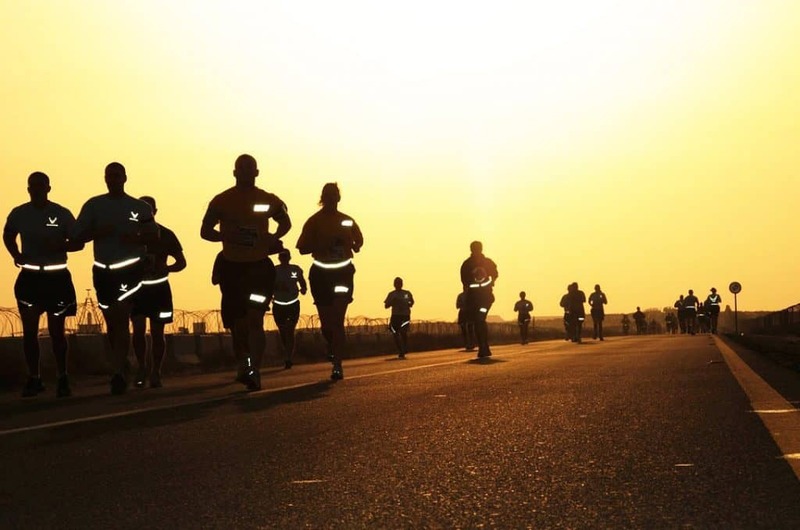 We’ll cover the different categories of running shoes, the types of runners those shoes are made for, and the overall fit and feel of different shoes. Ultimately, picking the best shoe comes down to figuring out which type or category of shoe works for you, trying a few of them on, then seeing what feels best. For many runners, there is no one “right” pair of shoes. Different brands and models can often work equally well for the same runner. Don’t get stuck on one pair of shoes and think you can never change. Swapping between shoes is ultimately a good thing. It allows you to train your body to use slightly different types of muscles in different shoes. The first step is to determine the type of running shoe that best fits your foot and gait. Running shoes are classified into different categories. 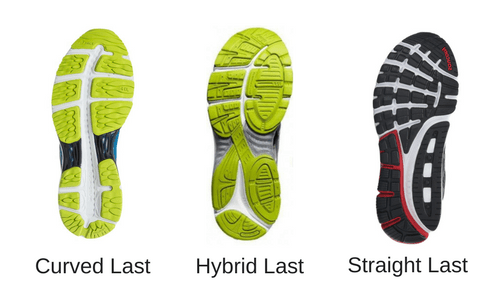 Each category is designed for a specific type of foot profile and stride. Neutral running shoes are your standard shoe for runners who don’t need additional support or control. Depending on the brand and model, these shoes can still provide some support but they aren’t designed to correct or alter a runner’s stride. Stability running shoes (sometimes called support shoes) are stiffer than neutral running shoes. These running shoes are designed for runners who overpronate (excessive rolling inwards of the foot after striking the ground). Runners who overpronate tend to have low to flat arches (although this is not always the case). Stability running shoes typically have what’s known as a medial post on the inside arch of each shoe. The medial post is made of hard, dense foam and stretches from the middle of the arch to the back of the heel. It’s designed to prevent the foot from rolling inwards, correcting the foot so it doesn’t overpronate. Ideally, the shoe allows some inward movement, but not the excessive amount that would occur if the runner was barefoot or in neutral running shoes. These running shoes are very similar to stability shoes. They usually have a medial post and prevent the foot from rolling inwards. The difference is that there is less support and a shorter medial post in these types of shoes. 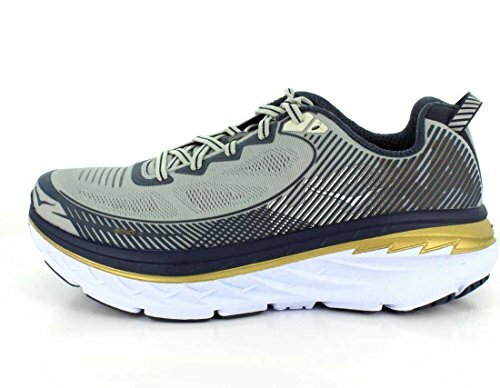 So if you only have moderately low arches or your foot only tilts in slightly while running, a guidance shoe provides mild correction like a stability shoe. But if you severely overpronate or need more stability, a guidance shoe won’t offer as much support. On the other end of the spectrum from neutral shoes are motion control running shoes. These are heavy, dense shoes that don’t allow any movement inwards or outwards while you run. They feature a long, heavy medial post and are incredibly stiff. They are made for runners with low to no arch who need lots of support. Because they are so heavy and stiff, they aren’t recommended unless you really need a ton of support and stability. Not quite a category – more like a whole separate classification. But it’s worth mentioning the minimal or barefoot running shoe. These shoes typically have minimal cushioning, structure, and support. 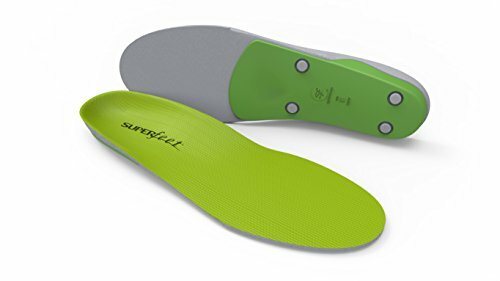 They’re designed to provide mirror running barefoot with a tiny bit of protection from the ground. Now that we know how running shoes are classified, how do we know which is type of shoe is right for you? First, we need to determine what your arches look like. The most common method – often cited by Runner’s World – is the wet test. This involves getting the bottom of your feet wet and then stepping on a brown paper bag or heavy piece of paper and looking at the imprint your foot makes on the paper. Runner’s World recommends dipping your feet in a shallow pan of water. But you could easily use a slightly filled bathtub or just wetting your feet. The key is to make sure your feet are wet enough to leave a good imprint, but not soaking wet that they overly saturate the imprint. Once you’ve got the shape of your foot on the paper, compare it to the pictures below to see which type of arch it falls most closely to. 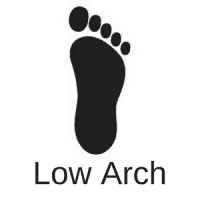 For many people (and this is even common in some running stores), the foot and gait analysis stops once you determine the type of arch you have. This is because, generally speaking, runners with flat arches need a stability or motion control shoe. Runners with low arches need a guidance shoe. 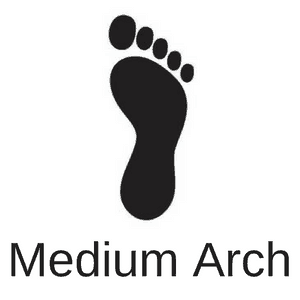 Runners with medium arches need a neutral shoe. And runners with high arches need a neutral shoe with lots of cushioning. The reason this analysis works is that – again generally speaking – runners with flat to low arches overpronate. The flatter the foot, the more severe the overpronation. Runners with medium arches have a “normal” gait. While runners with high arches suppinate (roll on the outside of their foot) and need a shoe with lots of cushioning to absorb the ground forces generated while running. But every person is different. While most people fall into this general pattern, there are outliers. So what do we do next? If you’ve been running for some time, you can look at your old running shoes and gather a lot of good information. 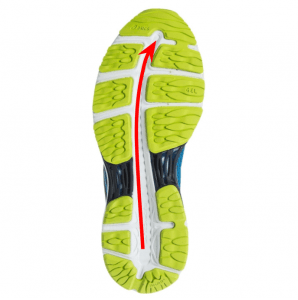 If you have an old pair of running shoes, you can look at the wear pattern on the bottom sole to gather more information about your running stride. Take a look at the bottom of your shoes and see where the tread has worn. If the wear is fairly even down the center of the shoe, this likely means you have a neutral gait and medium arches. Excessive wear on the inside part of the shoe indicates you are overpronating. And wear on the outside of the shoe indicates supination. But keep in mind, the wear pattern can be influenced by the type of shoe you’ve been wearing. You may overpronate, but if you are wearing a stability shoe, that may correct the overpronation and make it appear as if you have a neutral gait. To check if your existing shoe is a stability shoe, you can look it up on the manufacturer’s website. All the good running shoe companies indicate the type of running shoe on their websites. 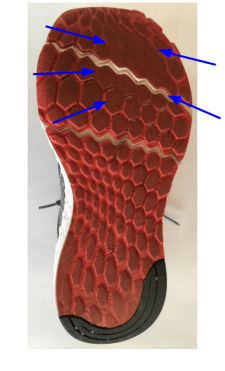 If you can’t find it or are having trouble, check the foam on the inside part of your running shoes from the arch back towards the heel and see if your shoes have a medial post. 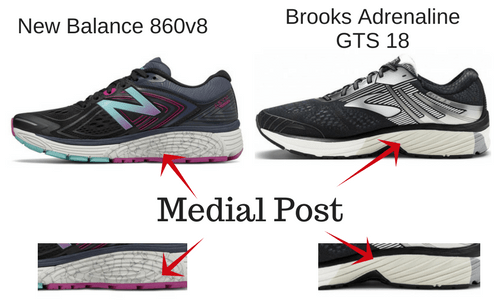 The medial post in stability shoes is often a different color than other parts of the sole. If you press your finger on it, it’s also much harder and denser than the foam in the rest of the shoe. If the foam is uniform all the way around the shoe, then you are likely wearing a neutral running shoe which provides a better representation of your running gait. But this doesn’t mean the wear on a stability shoe won’t provide any useful information. If the wear pattern is fairly even, it means you should probably stick with that same type of shoe. If the wear pattern is on the inside, then try a shoe with more stability. And if the wear pattern is on the outside, you may have a neutral stride (or you might suppinate) in which case it’s worth shifting to a pair of neutral shoes. While the arch test works for about 90% of runners, there are outliers who don’t fit into the low arch = overpronate // high arch = suppinate bell curve. If you think you might be one of these outliers, it helps to have someone analyze your gait and stride for you. The easiest way to do this is to head out to a local, independent running store. 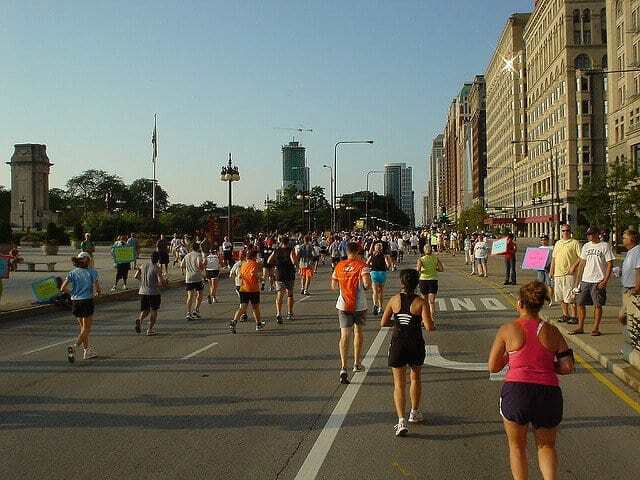 Here, the staff will watch you run and determine what your gait looks like while running. Some stores even use a camera to video you from behind so you can see exactly how you run. We recommend this as the best way to get fitted for shoes. Not only will they see how you run, but they’ll make 2-4 shoe suggestions that you can immediately try on. Be wary of big box stores that sell running shoes. Often, the staff has very little knowledge about how to fit shoes. And if a store tries to upsell you on a pair of inserts without any specific need or explanation, find another store. Inserts are a common upsell many stores use to increase their margins. Certainly, for many runners inserts have a place. But for many, they don’t add anything extra to a regular pair of shoes. If you want a more professional gait diagnosis – or if you have been chronically injured and feel like your injuries are due to poor running mechanics – another option is to see a running specialist, usually a physical therapist or sports physician. They’ll video you running and provide exercises and running cues in order to run more efficiently with better form. They’ll likely offer some types of running shoes for you to try. 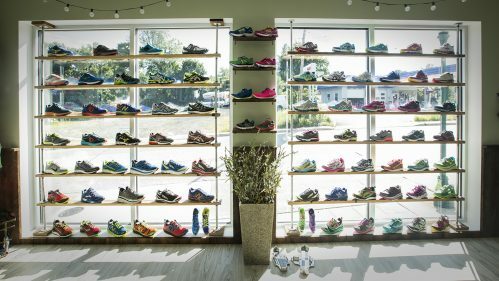 What if you don’t live near a running store? If you’ve checked your foot structure and determined what your arches look like, you’re still in a good position to choose a pair of running shoes. If you have flat arches, you’ll fall into the stability category. If you have low arches, you’ll fall into the guidance category. If you have medium or high arches, you’ll need a neutral shoe. And if you have high to very high arches, you’ll want a neutral shoe with lots of cushioning. If you are worried you might be one of the outliers that doesn’t neatly fall into one of these categories, all hope is not lost. Simply start with what “should” work for you and see how they feel. Sometimes you’ll know right away whether is shoe is working for you or not. Sometimes it takes a few runs to figure it out. You may need to experiment with a few different kinds of shoes until you find the one that’s right for you. Although from a structural standpoint running shoes fit into these basic categories, there are other factors to consider when choosing a running shoe. This includes cushioning, support, fit and feel, heel drop, and weight. On top of that, running shoe companies are constantly changing (usually for the better) their technology in the hopes their shoes become more comfortable, weigh less, and/or last longer. Sometimes they change them just for fresh colors and design. Some of these are a little gimmicky, but others do play a role into the fit and feel of the shoe. While every shoe is different, we’ll cover some of the general differences between major brands further in this article. The most noticeable and maybe most important element to a shoe is how much cushioning it has. The basic purpose here is to protect your feet and body from the stress and pounding that occurs running. But cushioning also impacts how a shoe feels, both when you put your foot inside it and while running. Many people hear cushioning and they think the more the better! But that’s not always the case. The most cushioned running shoes have trade-offs that may not be right for everyone. Shoes with the most cushioning tend to be heavy and stiff. And they’ll typically cost $150 or more. These shoes more foam and gel than standard running shoes – essentially there is more “stuff” in the shoes – which adds weight and decreases flexibility. You also lose road-feel (i.e. feeling the ground underneath your feet) while you run. Some runners might not care if they can feel the ground or not. But one downside of so much cushioning is that you lose some muscle in your feet as they as engaged in cushioned shoes. Your standard $120 running shoe is well cushioned but still allows for some road feel and responsiveness. They are less stiff making them a bit snappier. The cushioning protects but doesn’t overwhelm your feet. As you move into the minimal running shoes, you get less cushioning, more responsiveness, but less protection from the road. These types of running shoes are usually very lightweight – so they make you feel fast. But they require good running form to prevent injury. Barefoot or extreme minimal shoes have almost no cushioning. You need near perfect form to run in minimal shoes. For most people, a running shoe with adequate to heavy cushioning is good as an everyday trainer. The lighter but not quite minimal shoes are good options for speed work and races. In most cases, a running shoe’s weight is directly related to how much cushioning is in it (Hoka One One shoes are the exception as these have tons of cushioning but are relatively lightweight). What this means is that if you want a really lightweight running shoe, you’ll likely be sacrificing some cushioning. The most expensive shoes – because they are filled with lots of materials to make your feet feel plush and pampered – also tend to be the heaviest because there is so much “stuff” in the shoe. Stability shoes also tend to be heavier than neutral shoes. This is due to the medial post – the dense foam that provides extra support in the shoe – being heavier than the foam in the rest of the shoe. This is another reason it’s better to not use a stability shoe unless absolutely necessary. The upper, or top part of the shoe that wraps your foot, plays a big factor in how comfortable a running shoe feels. The trend in running shoes lately has been to create what’s known as a “seamless” upper. 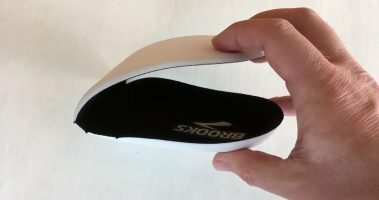 This single piece of material uses synthetic overlays to give a shoe its shape instead of the old fashioned stitching that held a shoe together. The result is that running shoes are now lighter and more comfortable than ever before. Seamless uppers are made with less material, so they are lightweight. And they have fewer seams to irritate your foot. The fit of the upper also varies from shoe to shoe. Some running shoes have lots of room for your toes to move around, while others are snug to keep your foot in place. Snugness around the heel also varies from shoe to shoe. Some brands want you to feel “locked in” to your running shoe and keep the heel very snug (Asics is known for this type of fit). While other brands allow for some extra room. The way a running shoe laces up also plays a factor in its overall fit. Many running shoes still use traditional lacing. This makes it easy to customize the fit. But some brands have experimented with lacing to allow for more comfort and an overall snugger feel. Saucony introduced its ISO lacing a few years ago. ISO lacing wraps the foot for a sock-like feel while providing enough support to keep your foot in place. Almost every major running shoe company makes a shoe (or several) that are made with Gore-Tex or some other type of waterproof material. You might think this is the best option – especially if you are planning to run in rainy or wet conditions. But unless all your runs are in the rain or snow, you’re better off sticking with plain mesh. The problem with waterproof shoes is that they don’t breathe well. So your feet get hot on warm days. And if the inside of your shoes do end up getting wet – either from sweat or water dripping down your ankle into the shoe – they tend to keep water in. So they never dry. If a mesh shoe gets wet, it will at least dry fairly quickly once conditions improve. The midsole of the shoe is rarely seen. But it houses the real “guts” of a running shoe. The midsole is what you feel most when running in a pair of shoes. The fast majority of cushioning is found in the midsole as well as the medial post in stability shoes. It’s also where many brands like to showcase their technology. 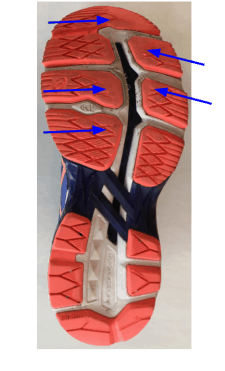 Mizuno inserts its wave plate in the back third of the midsole near the heel. The wave plate provides a snappy feel and responsiveness of the shoe. Asics and Brooks also use gel cushioning in the midsole to add extra plushness and cushioning to their shoes. The rubber on the very bottom of a running shoe is the sole. This is usually made of blown rubber for superior grip in a variety of road conditions. You’ll also see that most running shoes have grooves built into the sole. This allows the shoe to flex and in some cases “steer” the shoe into a certain foot strike. The idea is to have your foot strike from the outside heel and down the middle of the shoe in a curved pattern. The flex grooves also eliminate stiffness from the shoe for a natural running and walking feel. Some brands like Asics uses a plastic plate in the sole to connect the heel with the front of the shoe. This provides a less natural feel but is snappy and responsive – a style some runners prefer. The shape of the sole on the bottom of a running shoe is known as the last. Different types of shoes have different lasts and give the shoe a different feel while running. The last is one of those things you wouldn’t think has an impact on how a shoe fits and feels. But it does play a large role in the overall fit of a running shoe. The typical running shoe last is wide at the toe box, narrows in the mid-foot, and gets a tad wider again at the heel. This is a curved last. It’s light but not the most supportive. Different running shoes play with the shape of this curved last. Some have a more pronounced curve, others curve inwards more at the midfoot, and some have a wider toe box. Shoes with a straight last – or hybrid straight last – are straight from the heel to the toe. The advantage of a straight lasted shoe is that they offer additional support. There is more ground contact between the shoe and the road creating a more stable ride. One downside is that these shoes tend to be heavier and a bit clunky. Another feature that varies between running shoes is how generous they are around the toes (known as the toe box). Some runners wear a wide shoe – or think they need to wear a wide shoe – not because they have wide feet but because they want extra room for their toes to move. Traditionally, running shoes have fit fairly snug all across the foot. The idea is to make it feel like it’s a part of your foot. But many runners don’t need or want that type of fit. And they choose to wear widths for extra room. The danger in wearing a width for this purpose is that wide shoes get wide not only in the toe box, but throughout the entire shoe including the heel. So it’s not uncommon for runners who wear a wide to have heels that slip out of the back of the shoe. An alternative is to find a pair of running shoes that actually fit wider in the toe box. 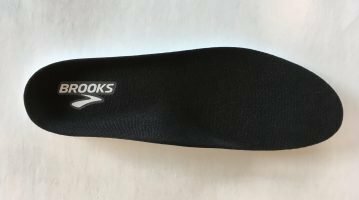 This varies shoe by shoe, but generally speaking Brooks, New Balance, and Altra (which we’ll cover in a minute) running shoes have wide toe boxes. Opposite to the wide toe box, there are some runners who want a snug fit in the heel. Often these runners have narrow heels or just don’t like their heel to slip. Most running shoes have plastic or synthetic materials to keep the heel in place (sometimes seen on the back of the shoe or but often built inside it). If you like a really snug fit, Asics usually keep most runners’ feet locked into the back of the shoe. The other thing to consider with the heel counter is how it feels around your ankle and how high it rides up. In an effort to shed weight, some running shoes are cut low on the ankle to minimize the amount of material in the shoe. Other shoes emphasize the heel by keeping it fairly high and adding tons of cushioning for a plush, soft feel. Almost any shoe you wear – including dress shoes – have a slight angle downwards from the heel to toes. So your heels are raised very minimally and angled forward. This is known as the toe to heel drop – or simply the drop on a shoe. Running shoes, in particular, have various drops depending on the brand and style of shoe. Your classic running shoe has about a 12-13 mm drop. This is the distance between the highest point on the heel and the lowest point at the toes. 12 mm might not sound like much, but you can feel it when it changes. After the book Born to Run by Christopher McDougall was published in 2009, the barefoot trend began and running companies started playing with the drop on their running shoes. When you run barefoot (or in minimal shoes), there is obviously nothing artificially raising your heel higher than your toes. This is known as a zero drop because the heel and toe are at the same height. As the barefoot trend became increasingly popular, major running shoe brands came out with their own zero drop shoes. But switching from 12 mm drop shoes to zero drop running shoes has its own problems (which we’ll cover in a minute). To compensate and ease runners into lower drop shoes, running shoe companies started coming out with shoes that had a 4-6 mm drop. You still had some artificial heel lift – but it wasn’t as drastic a 12 mm drop shoe. Now that barefoot running isn’t as popular as it was 8 years ago, many running shoe companies have abandoned their zero drop shoes, but kept some of their 4-6 mm drop shoes. And there are some newer running shoe companies that only make barefoot running shoes that are still flourishing. Even though the major running shoe companies have moved away from minimal barefoot shoes, that doesn’t mean the trend has disappeared. There are still companies such as Altra and Topo that only make zero drop shoes. These brands are thriving with runners who still like the barefoot style of running. Why run in minimalist shoes? If you want to run with good, efficient form, it makes sense to wear zero drop shoes. Good running form means you take short, quick strides and land on your midfoot or toes rather than your heel. It’s not impossible to run with good form in 12 mm drop shoes; however, it is easier in a zero drop shoe. It feels more natural to land on your midfoot in a zero drop shoe. You’ll also really feel it in your feet and body if you heel strike in a zero drop shoe. So it helps keep your form tight, especially towards the end of a run when you feeling fatigued. Most of these shoes also have a foot-shaped last. This allows your toes to spread out and have tons of room to move around. It also makes the shoes feel insanely comfortable. A small word of warning if you are thinking about switching to a minimal or zero drop shoe. If you’ve been running in a higher drop shoe and heel strike, there is a transition period when switching. There is much more force and pressure put on your calves when you run landing on your midfoot and toes. Sore calves are common when making the transition. Plan on easing into zero drop shoes. First, use them once per week. Then a couple times the following week. And 3-5 the third week. After this, your body should be adjusted to the strain put on your body in new places. If you are interested in improving your running form, James Dunn of Kinetic Revolution has a great course on running form. An interesting shoe that also came out of the barefoot running movement was the Hoka One One Bondi. Instead of making a running shoe with a zero drop or minimal cushioning, Hoka One One burst on the running scene with a shoe that did the complete opposite: it had so much cushioning, you couldn’t feel anything under your feet. Originally designed to run downhill faster, the brand quickly caught on with ultrarunners who wanted a shoe to protect their feet during 50+ mile races. Nine years later, the brand has caught on with the entire running community. In some ways, the pendulum has swung the opposite way from barefoot running. Shoes like Hokas, with tons and tons of cushioning, are now widely popular. What’s interesting about Hokas is that while most running shoes get heavier as more cushioning is added, Hokas are fairly lightweight. They offer the best of both worlds: cushioning and a lightweight shoe. It’s this reason the Hoka Clifton 4 is their most popular model – it’s cushiony and extremely light. Like the barefoot trend, many running shoe companies are currently coming out with their own max cushion shoes. What’s the downside to running in a Hoka or other max cushion shoe? In Hoka’s case, they look funny. They have thick soles. Many people compare them to shape-up shoes popularized by Skechers. But they also don’t allow any road feel. As a result, you lose some foot strength. Hokas also have a curved sole and rock slightly. This can be disconcerting to some runners. Running shoe companies are constantly evolving and developing new ways to build a better (at least in theory) running shoe. We’ll cover some of the new trends that have emerged in recent years. This new technology isn’t necessarily better or worse than other running shoes, just different. A new type of midsole foam is emerging in some running shoes made from polyurethane rather than the traditional EVA foam. First introduced by Adidas with their Boost foam, other running shoe companies have created similar foam with names like Everun (Saucony), Levitate (Brooks), and Ego Boost (Altra). The result is that these types of shoes will feel better for longer. This is true in the short term when you go for a long run – the foam feels the same at the end of the run as it does at the beginning. EVA foam tends to get compressed and lose some of its cushioning throughout the course of a run. It’s also true in the long run. EVA foam gets compressed after every run and doesn’t return to its original form afterwards. It stays slightly compressed. This is imperceptible the first several months running in them. But over time, the cushioning slowly gets worse and worse until it’s time for a new pair. Polyurethane foam doesn’t have this problem. It retains its cushioning during a long run and has the same snappy feel for its lifespan. Up to 20-30% more. This means that as you run, the forces your leg creates propelling you forward are transferred in the shoe, then like a spring, propel you forward. Running shoes with traditional EVA foam do this as well, just not as efficiently. You get about 50% return with EVA vs. 70+% using polyurethane foam. If you’ve ever worn a pair of running shoes in cold weather, you’ve probably noticed they feel hard as a rock when you first put them on. Likewise, on a hot day, they’ll be mushy and soft. Polyurethane foam keeps its shape and form regardless of temperature. The cushioning and energy return remains the same whether it’s -5 or 105. This doesn’t mean EVA foam shoes are being discontinued anytime soon. There are a few downsides to polyurethane foam. One issue is cost. Right now, this foam just costs more. Expect to pay about $30-40 more per pair of shoes. And if you are expecting a soft, cushioned shoe, you’re likely to be disappointed. While this foam feels great, it’s not a soft, mushy foam like you’ll find in a Hoka or other plush running shoe. It’s firm and bouncy, not pillowy soft. Finally, the same energy return that makes polyurethane foam appealing, also makes it unwieldly at times. If you have great running form, it’s not a major issue. But if you are a heavy heel-striker the shoes can get bouncy in the wrong way. Instead of propelling you forward, they can send your feet bouncing off in different directions! 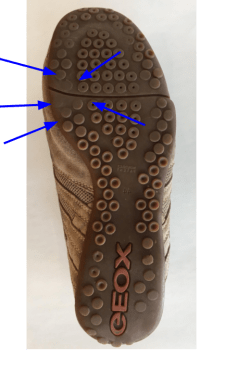 We’ve mentioned this already but it’s worth noting again – running companies are trying really, really hard to add a comfortable but secure fit to running shoe uppers. Seamless uppers use lightweight, synthetic overlays in place of stitching and heavier materials. These uppers feel great, weigh less, and keep you snugly locked in. Almost all running shoe companies have moved to a seamless upper. Saucony takes this a step further with their ISO lacing. This sock-like upper uses ribs to secure your foot to the shoe. This provides a super-comfortable fit that holds your foot securely in place. Running shoes are a prime example of getting what you pay for. Yes, you can buy cheap $75 running shoes from DSW or Kohls, but don’t expect them to last long, feel good, or provide protection for your feet. The average price for a good pair of running shoes is about $120. Plushier, more expensive models cost about $150-160. And a lightweight trainer might cost as little as $100. The $100 shoes are a pretty good deal, just keep in mind they don’t have as much cushioning as more expensive shoes and might wear down faster. Also remember that the most expensive running shoes aren’t always the best. Typically the extra $30-40 in a $160 pair of shoes buys you added cushioning and a pillowy, soft feel. What you gain in cushioning, you lose in flexibility and responsiveness. The extra money does not buy you a shoe that’s more durable or makes you run faster. And they are not a “better” running shoe. This doesn’t mean they are a bad choice – they’re not because they do feel great and for many runners they are worth the extra cost. But remember what the extra $$ is getting you. If you are on a budget, the best way to buy good running shoes is to wait until they go on sale. Running shoes are usually updated once a year. When the new version comes out, the old one goes on sale, usually about 20-30% off. Running shoes are updated regularly throughout the year. The exact date varies by brand and model. Very generally, though, most neutral shoes are updated in late spring while stability shoes are updated in mid-fall. Sometimes they are referring to a stability shoe and the medial post. But usually they are referring to how the arch feels on the inside of the shoe. The feeling actually comes from the insert in the running shoe, not the shoe itself. And it’s usually just a flimsy piece of foam. Contrary to what some runners think, the arch support you feel here has nothing to do with the structure or construction of the shoe. This is actually a good thing. Because you can swap out the insert of a shoe for an over-the-counter insert like Superfeet or Currex. 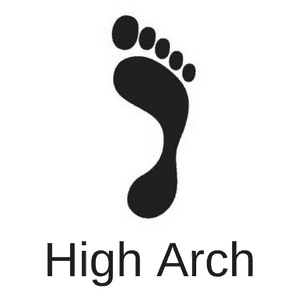 With these inserts, you can select how high you want the arch and how much you want it pressing against your foot. They are also nice because they usually make a shoe even more comfortable and can offset some injuries like plantar fasciitis and runners knee. So if you try on a running shoe and love everything about it except the “arch support”, try swapping the insert and see if that helps. So how do you take all this information and use it to buy a running shoe? • Figure out personal preference of fit and feel of shoe: do you want lots of cushioning, wide toe box, snug fit, etc.? Now that we’ve determined what your foot and arch look like, and we’ve examined all the differences between running shoes, we can start narrowing that selection down and finding a pair that’s right for you. When you are just starting out, you don’t have old shoes to refer back on to see what you liked and didn’t like. Your best bet is to start with the type of shoe that best fits your arch and foot structure (i.e. stability, neutral, etc.). Then, think about some of the features running shoes have and see if one style of shoe would appeal to you more than another. Decide how much cushioning you would like and if there’s a certain fit you’re looking for (wide toe box, snug heal, etc). For your first pair, we recommend a classic running shoe with a 12 mm drop and good cushioning. Unless you are interested in proper running form, we suggest staying away from barefoot and minimal shoes or the new polyurethane foam. The best place to buy running shoes is still your local, independent running store. They’ll assist you with finding a few options that best fit your foot and gait, and you can try them on right in the store to see what type of fit you like best. You could go to a big box store, but we feel the staff in these stores lack the knowledge to properly fit you in a pair of shoes. And some stores will even try to sell you custom inserts – not because you need them but because it adds onto their bottom line. If you are worried you’ll be spending more at a running store vs online, keep in mind that running shoe companies are very sensitive about the price their shoes sell for. So they take extra steps to make sure vendors don’t undercut their set price online. Unless you are buying an old version of a running shoe, the price at a store vs. online are almost always the same. If you don’t have a running store near you, try to buy from an online seller with a good return policy. Amazon, Zappos, Road Runner Sports, and Runners Warehouse have excellent return policies. This way you aren’t locked into a particular pair of shoes until you’ve had a chance to try them on. If you’ve been running for a while you can use your past experience to pick your next pair of running shoes. The first thing to do is look at your old shoes. Figure out what kind of shoe they were (neutral, stability, etc.). Did you like them? Did they feel good, fit your feet well, last long? Yes, then choose a similar style of shoe. You don’t necessarily need to buy the exact model but if they were a neutral shoe with medium cushioning, then get something similar. If you hated your old shoes, figure out the style of shoe and try something different. Maybe they were a stability shoe – try a neutral shoe. If they were motion control, try a stability shoe. If you were indifferent to your last pair, then mix it up by going with a similar type of shoe (neutral, stability) but try a shoe with less or more cushioning. Or a shoe with a lower or higher heel drop. If there was something specific you didn’t like about the shoe, you can change brands for a different fit (see our shoe brand guide below). 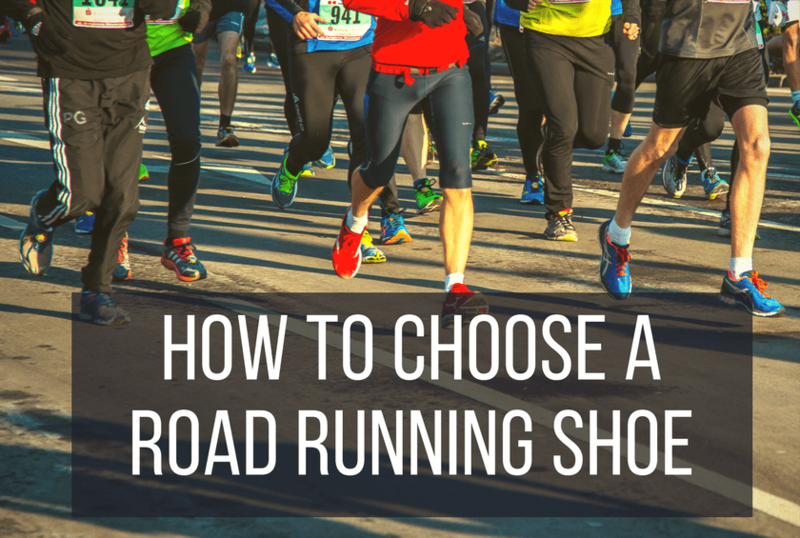 What if you don’t have your old running shoes or can’t figure out what type they are? Follow the same advice we gave for new runners. Figure out your arch and foot structure and try something in that category. Decide how much cushioning you want, heel drop, overall fit of the shoe. If you’ve been running for a while and want to improve your form, consider a minimal or barefoot shoe. The major running shoe brands are generally comparable in terms of cushioning, quality, durability, and price. Where you see the differences are in the overall fit and feel of the shoes. While it’s not true for every individual shoe, there are similar trends between brands that we’ve broken down below. Remember, these are just generalities. Like anything, there are outliers in models that differ than what we describe below. Running shoes also fit and feel different from runner to runner. Depending on your individual foot, you may experience a different feel than other runners. 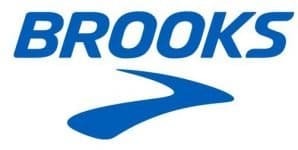 Brooks is the #1 running shoe brand in the industry – it’s not surprising their running shoes work for a wide variety of runners. Most of their shoes have a classic 10-12 mm drop. They usually have a wide toe box and comfortable fit. When barefoot shoes became trendy, Saucony decided to lower the drop slightly on most of their shoes. You won’t find a running shoe with more than an 8 mm drop. Otherwise, Saucony’s shoes run true to size. They also offer Everun technology in most of their shoes – this foam is more durable and has a spicier feel than regular foam. They’ve also been implementing ISO lacing into most of their shoes. If you like a snug fit in the midfoot and heel, then try Asics. Toe box width varies from narrow to wide, but you’ll find a secure midfoot and locked-in heel in most of their running shoes. Asics also loves their Gel cushioning foam. Some shoes have more of it than others, but the idea is a bouncy, plush ride. The gel is heavy and can weigh down some of their shoes. Like Brooks, New Balance shoes tend to have a wider toe box than other brands. And if you need a wide shoe, New Balance has the most widths available than any other brand. 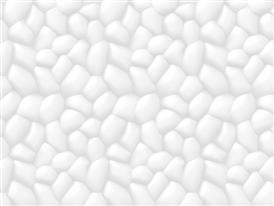 In the past few years, they introduced Fresh Foam in some of their shoes. Fresh Foam soles are made from one piece of EVA foam with various textures carved into the side of the shoe for a different feel. Unlike other shoes that are glued together in layers, Fresh Foam is just one piece, eliminating some of the waste produced in other brands’ shoes. They are also one of the few companies that still manufacture a couple models of shoes in the United States. Adidas was the first company to promote energy-return midsoles with their Boost foam. They’ve continued to develop this into their shoes – so expect a firm, cushioned ride. While Nike always makes a good-looking shoe, they haven’t kept up with some of the other major shoe companies in terms of fit or comfort. Their running shoes tend to run narrow and lack the comfort found in other brands. 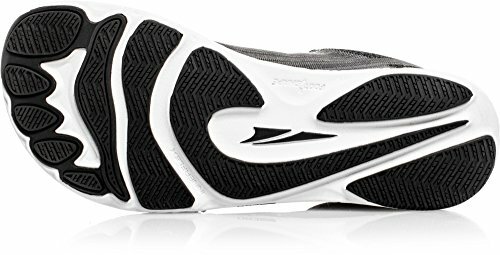 Mizuno puts a plastic wave plate in every one of their shoes. This gives a snappy responsiveness not found in other brand’s running shoes. They also tend to be lighter – and while we wouldn’t call them a minimal shoe, they don’t have as much cushioning as other brands. As we touched on earlier, Hoka One One running shoes are all about max cushioning. Expect tons of cushioning but lightweight and a bit of rocking motion from the curve on the bottom of the shoe. These two brands carried on with the barefoot running movement. Both have very wide toe boxes to allow your foot to spread out (as if you weren’t wearing running shoes). They also have a zero drop, meaning the heel and toe are the same height. Both brands offer various cushioning levels in their shoes from barely-there to heavily padded. Topo tends to be slightly more minimal than Altra. Newton is another brand that focuses on running with good, forefoot landing running form. The difference between Newton and Altra is that Newton keeps the traditional running shoe last and doesn’t have an extremely wide toe box. But they are very minimal to the point that it can sometimes actually hurt your foot if you land on your heel. The original barefoot shoe. These are still kicking around. Glove-like fit and barely-there cushioning plus their original toe slots. Using hollow tubes that run left-right as you look down at the shoe, On Clouds provide a cushioned ride that firms up as the tubes compress. We’ve always felt the tubes are kind of gimmicky but they do have their followers. Skechers have a snug fit, but are pretty comfortable and have decent cushioning for a lighter-weight shoe. We’ve only tested one pair and found the initial ride to be great – but the shoe wore out much faster than other shoes we’ve tried. A newer brand from China, 361 has been making some waves with their Runner’s World award winners. They are made in the same factories as Asics and tend to fit in a similar manner. Salomon is fairly new to road running shoes. Some find them to be a bit narrow. But they have a smooth ride and utilize Vibe foam in their midsoles to soften the shock from road running. The result is less fatigue during the course of a run. So now that you’ve got your new shoes all picked out, it’s time to think about replacing them. But the best way to know when to replace your running shoes is when they’re reaching about 300-500 miles. 300 if you are a heavier, hard-step runner. And 500 if you are petite and lightweight. The best time to start tracking this is when you buy a new pair of shoes. Many online run trackers like Strava, Runkeeper, and Garmin will track how many miles you run in a certain pair of shoes. If you are not one to track your mileage, then write down when you bought your shoes. Once you are 5-6 months post-purchase, check the cushioning and tread to see if you’re ready for a new pair.